When it comes to AMG, Mercedes-Benz’s performance division, Canada punches above its weight — well above it — in terms of sales. Canada is AMG’s third-largest market behind the United States and Germany, and ahead of China. And in product mix rate, it’s No. 1, with one in four Mercedes sold here badged an AMG, says David Sherrard, Mercedes Canada’s national product manager. The Germany-based automaker is headed for another Canadian sales record and AMG has outperformed, too. AMG sales this year through October were 8,689, an increase of 64 per cent from the same period last year and more than the record 6,723 in all of 2016. Two factors have been key in expanding AMG volume, said Sherrard. The introduction of 4Matic all-wheel-drive systems — essential for many Canadian customers — to the AMG lineup a few years ago boosted models such as the CLS 63 and E 63 sedans that were at peak life-cycle volumes and headed for decline. “It helped us actually have a higher volume base and keep them stable,” he said. The other factor was the introduction the C 43 sedan and coupe in roughly the $60,000 range, a segment in which AMG really wasn’t competing, said Sherrard. 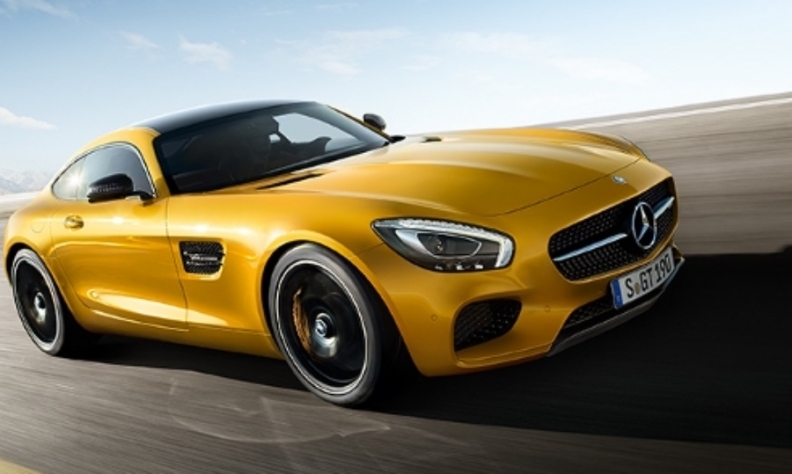 AMG is celebrating its 50th anniversary. Begun by two ex-Mercedes-Benz engineers in 1967 to build racing engines, it evolved into a highly regarded independent tuner shop before Mercedes absorbed it in 2005 and expanded both production and model range. Arriving in Canada in the mid-1990s with the C36, AMG now encompasses almost two dozen models from about $50,000 to almost $200,000. Eighteen Mercedes dealerships are designated AMG performance centres, though any of the 59 Canadian stores can sell the vehicles. AMG will up the ante sharply in late 2019 with Project One, a hybrid with more than 1,000 horsepower and priced close to $5 million. Well-heeled Canadians are lining up hoping to be selected for one of the handful of cars allocated to this market. AMG delivered almost 100,000 vehicles worldwide in 2016, about five per cent of total Mercedes production, so the badge’s relative exclusivity has diminished somewhat. But Sherrard said that doesn’t mean the brand’s prestige is diluted. Automotive News Canada spoke with Sherrard at a recent AMG Performance Tour event at Vancouver Island Motorsport Circuit, north of Victoria. The program is an important element of the brand’s success in Canada. About 200 AMG customers, intenders and prospects go through the one-day program each year in groups of 18 to 24. Under supervision of driving instructors, they can sample AMG models on racetrack and off-road courses. Unlike the Mercedes-Benz Driving Academy, the AMG program is free to participants. They’re nominated by dealers, who bear most of the cost. The events take place at Canadian as well as U.S. venues, though U.S. dealers don’t have a comparable program. Sherrard would not reveal the conversion rate for prospects who attend the program. “It’s one of the many tools that we’ve used to be able to bring more people into the brand,” he said.